Harvie Wilkinson is the MBA Progam Director at the University of Kentucky's Gatton College of Business and Economics. Prior to his appointment at Gatton, Harvie was the Vice President of the Keeneland Association from April 2000 to the end of 2010. While at Keeneland, Wilkinson’s responsibilities included credit, investment, security, IT, HR, capital projects and legal. Harvie also participated in the annual audit and budget process. Harvie worked with the Keeneland Foundation and also managed a number of Keeneland’s subsidiaries. Before Keeneland, Harvie was a partner at the law firm of Stoll, Keenan and Park (now Stoll Keenan Ogden) where he practiced in the areas of commercial, banking and equine law. Harvie is a member in the American College of Equine Practitioners. Harvie studied economics as an undergraduate and graduate student at the University of Kentucky and also received his J.D. from the University of Kentucky College of Law. 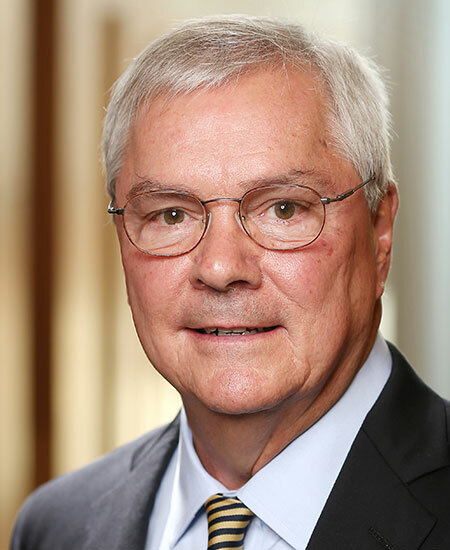 His past community involvement includes being a member of the Fayette County Board of Education (Chair), the United Way of the Bluegrass (Chair), the Bluegrass Chapter of the American Red Cross, and the Presbyterian Housing Corporation (President). Harvie is presently involved with God’s Pantry Food Bank (Chair), the Kentucky Blood Center, the Prichard Committee for Academic Excellence (Chair), UK Libraries National Advisory Board of Visitors, and the Martin School of Public Policy and Administration Advisory Board.